About….Daphné L. Romy-Masliah and Cosmopolitanism! Bibliography (M) like Masliah….see also (R)! Poetic mood – Humeur poétique. I learnt that Georges Moustaki had passed away while flying to Dublin to attend the first gathering of such importance of language commissioners from various parts of the world but more often than not from Canada. Somehow, it seems to me that this was more than a coincidence. 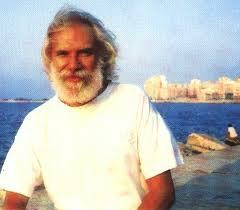 Moustaki was among the first truly multicultural people I ever met and he shared that feeling of being a world citizen, a true Cosmopolitan. This revived some cherished memories about why I became involved with plurilingualism and multiculturalism. I guess I was brought up in several languages and countries like Joe (as Edith Piaf used to call him) and then went to Canada to write my master thesis on Canadian Official Language Policy in the mid-eighties…Attending this conference thus brought back my still intact enthusiasm for the key question of language planning, something I rather neglected lately to focus on international English and education. I believe this was a rare, maybe unique so far, privilege to attend this first International Conference on Language Rights. It gathered 10 distinguished language commissioners, ombudsmen, language board CEOs from Europe (Ireland, convener, Catalonia, Wales, Finland, Kosovo), South Africa and…4 Canadian representatives (Commissioner of Official Languages, Languages Commissioner of Nunavut, French Language Services Commissioner of Ontario and New Brunswick Commissioner of Official Languages ). Ireland’s Official Languages Act (2003) enacted 10 years ago and the legislation is currently under review. 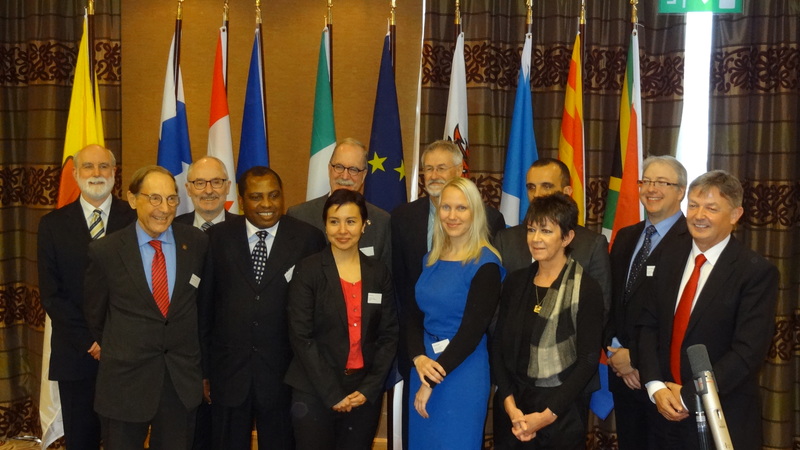 Language commissioners from all over the world to participate. Emphasis on the role of the state and the community in regard to language rights and obligations in the context of languages that are under threat as community languages or languages of choice. The sharing of best practice, the exchange of information and lessons learnt in the areas of languages will be core objectives of the conference. 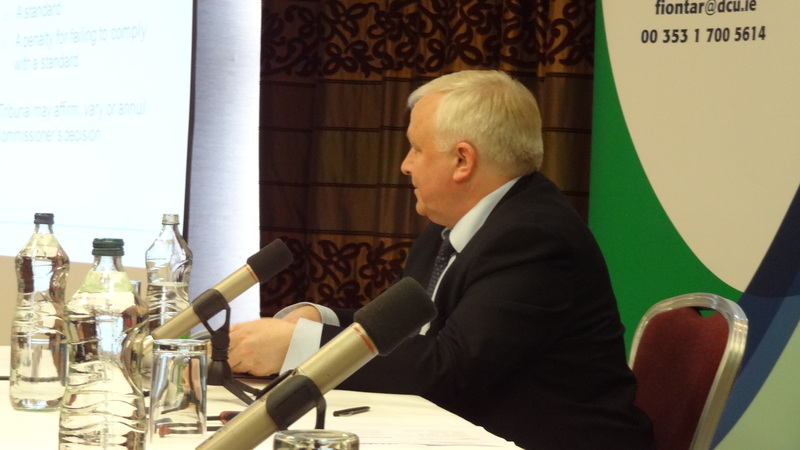 The conference will provide an opportunity to learn from policy and practice in other countries and allow the position of Irish, both in Gaeltacht and through the country, to be evaluated in an international context. Hats off for all chairpersons who managed to keep everyone on timing tracks, something rare enough to be mentioned, and more especially our friends Peadar Ó Flatharta (picture on the right) and Collin Williams(left pix). Both did an outstanding job and Collin Williams’ report less than 15 minutes after the end of the session was a « morceau de bravoure » we all savoured ! The high representation of the Canadian is in itself a living proof of the constant interest Canada holds in linguistic questions. Some of us in the audience, namely Profs. Pierre Foucher (Ottawa U) and Michel Doucet from the University of Moncton, wondered then why the Office de la Langue Française wasn’t represented but I guess that almost half the panel was more than enough to provide a rather good picture of languages situation. Please find the notes I took, according to my good old habit nobody complained about. Let me simply mention that I throroughly enjoyed this event but would have wished participants had been as honest as they were in the last session under the talkative maestria of former Finish Foreign Minister and Education Minister of Finland, Hon. Pär Stenbäck ! Indeed until last session, commissioners, apart from the very lively Welsh, Ontario and Kosovo commissioners, had been quite formal in what sounded like the repetition of their webpages. However pushed by the incisive questions of Minister Stenbäck, they gave some rather lively though at time embarassed pictures of their exercise. It boiled down to their deplored lack of independence due to the mandate attributed to them by authorities and not by Parliament, their lack of funding , the lack of demand from the individuals themselves, the crying need in healthcare, the lack of appropriate financial penalties for not complying with the law and the fact that courts, especially in Canada, are where language policies are enforced as opposed to their own Offices. Since it was the first public exercise of this kind, I would say that this was an immense success both in terms of participation (we were over 120 participants, from Academia to NGOs) and I loved the Sinn Fein’s representative’s conclusion : « Oh, we’re doing fine with Irish in Belfast, problem is with the South, maybe it should be forbidden to speak Irish there too and they’d start speaking it eagerly again ». At least, I can say I never heard so much Irish (it’s not politically correct and anyhow improper to say Gaelic !) in my life as all the Irish speakers spoke solely in Irish. Due to the location, and probably the price, all the other commissioners spoke in English, hell being paved with good intentions ! Enjoy the notes and do send me questions as usual or post comments. This helps me clarify any points. I am posting the intervention in the order they were given. The qualificatives are of course totally my own responsibility. 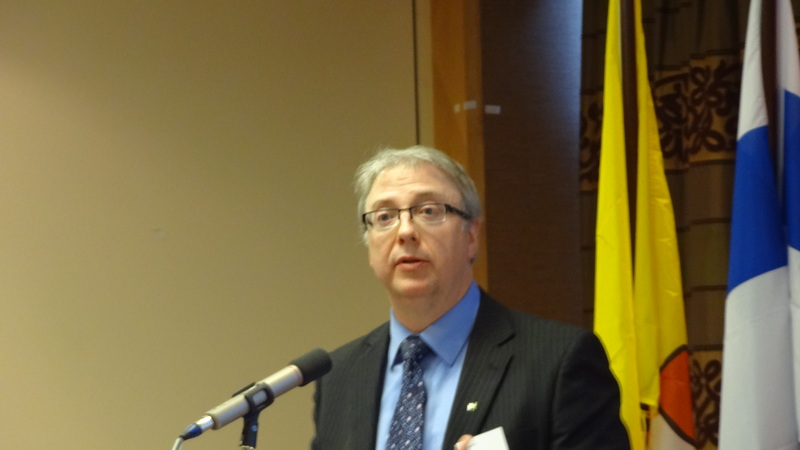 Fraser, Graham (2013), ‘Commissioner of Official Languages, Canada’, paper given at International Conference on Language Rights: Sharing best practice, Dublin Hilton. Pleased to be back to Ireland. Interested by the idea about this association of language commissioners. I’m the only Canadian here that is not a lawyer, so pleased to speak before lawyers so they have time to correct me. Ireland is the right place for this first conference. Language, power, nation and identity are what we work with on a daily basis. Canada has still some way to go to fulfill its promises of equality. Has studied the various approaches in all parts of the world. Canada is too large for a single individualist approach, closer to territorial approach but it’s not Switzerland or Belgium…. Key recommendations are now in Offical Languages Act, such as multiculturalism which stands that all citizens are equal. Some of the recommendations which were then revolutionary are now self evident such as race and origin. Controversial bilingual districts were never adopted. Canada is celebrating its 43d anniversary of bilingualism but the first interpretation was in 1958 at Parliament. 1963 Royal Commission on Bilingualism and Biculturalism. 1965 stark assessment of the Canadian crisis: Right to use and to learn by Trudeau. 1969 first act. Public was entitled to the language of their choice depending on the geographic reality. 1982 Canadian Charter of Rights and Freedom, reinforced language rights with education clauses. in fact 4.5 bilingual positions today, was less in the past! New official languages Act: equal status, rights and privileges, support minority community French and English. 2005 new amendment to strengthen the government’s commitment. The pillar of our country is our linguistic duality which combines civil and common law traditions. Respect for both languages and for monolingual citizens. Federal institutions should be bilingual so that citizens don’t have to be! Individual but also collective rights, something that the new version takes into consideration. Significant demand is essential because without them, the individuals lose their rights. I see my role as a bridge builder. I encourage dialogue. Part cheer leader, part nag! 175 employees, 4 branches and 5 regional offices. Protection, Promotion and Prevention. Act does not define what a positive measure is as regards minority language communities. 43 years after the act, the country is changing, newcomers, French language schools throughout the country, both languages on TV but French sometimes an afterthought on official events. Where values are concern, language rights are the essence. Monetary damages for violation are not reflecting the importance of these fundamental rights. If they are so immutable and inseparable they should be attributed the proper value. Symbolism isn’t enough, we have to put substance into damage compensation. Presence of both languages has to be taken for granted just as should be the availability for wheel chairs facilities for people with disabilities. Q&A (DRM): No use of French at all, something of an afterthought maybe? Somewhat embarrassed answer: he apologized and simply recognized that he was eager to compel with the time frame. On bilingual education Immersion system outrageous problem 200 000 immersion enrolled. French language schools with some limited access even for children coming from francophone countries. 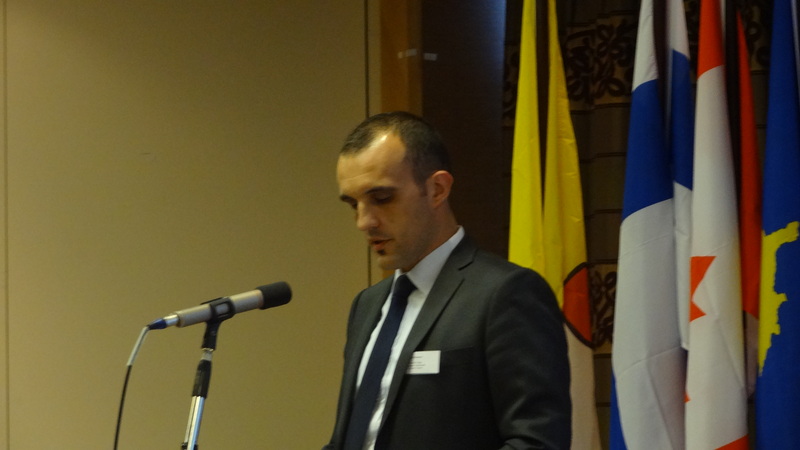 Ribó, Rafael (2013), ‘Catalan Ombudsman’, paper given at International Conference on Language Rights: Sharing best practice, Dublin Hilton. Sindic de Greuges de Catalunya. Speaks in Catalan for a few words. Spain is a plurilingual state 47,27 million. a bit more than half live in a unilingual territory. Spanish constitution gives the official status to Castilian, while in Art 3 al.2 speaks that the other languages can be official in the respective self-governing Communities. There is no single state institution that uses other languages than castillian in their daily life. Council of Europe considers a great example. at the age of 14, exam to prove full trilingualism Catalan, Castillian and English. Their results are better in Castilian than in the rest of Spain. public sectors: both languages are attended. Problem in Courts lowering level of Catalan for fear of translation. low percentage: 4000 queries, less than 200 directly linguistic complains: state aparatus in Catalonia, spanish police and civil guard, tax agency, big services as social security on retirement pension. We solved all except the guardia civil! We also get complains from doctors who come from Argentina who don’t speak Catalan. all these complains are solved. Nobody is obliged to speak another language. catalan and castilian speaking civil unity. A whole and Single People and Community. Ribo: english education? Not fully answered, he came back on the good figures in spanish but also admitted the very poor english, a spanish and not properly catalan problem. ” some assertions are wrong. Being a catalan, I do not share the description that our umbudsman has made. Our duality and richness, I don’t share that bitterness. He’s taking sides””. Zwane, Mxolisi (2013), ‘CEO, Pan South African Language Board’, paper given at International Conference on Language Rights: Sharing best practice, Dublin Hilton. Very sensitive to Irish solidarity that supported the New South Africa as well as Scandinavian countries. We come from a long history of oppression. Colonization amounting to Apartheid. Uninvited guest who ended up opressing you. We only came out of this through negotiation settlement. Our people aren’t very patient but we are moving forward. Afrikaans was the compulsory language then. Up to then you could be educated in English as well. 1994 settlement reached. Adoption of 11 official languages. the additional 9 indigenous languages were then adopted. All languages had to be taken into account since language defines our identity. Translated into Constitution. Section 6: special focus to those which were marginalised till then. To promote and create conditions for the development and use of all official language. The Koi, Nama and San languages and sign language. 1996 final version. Pan SA language Act. one of the first acts since it was a critical point. Use of Official Languages Act of 2012: compels provinces to adopt language policies that will reflect constitution. 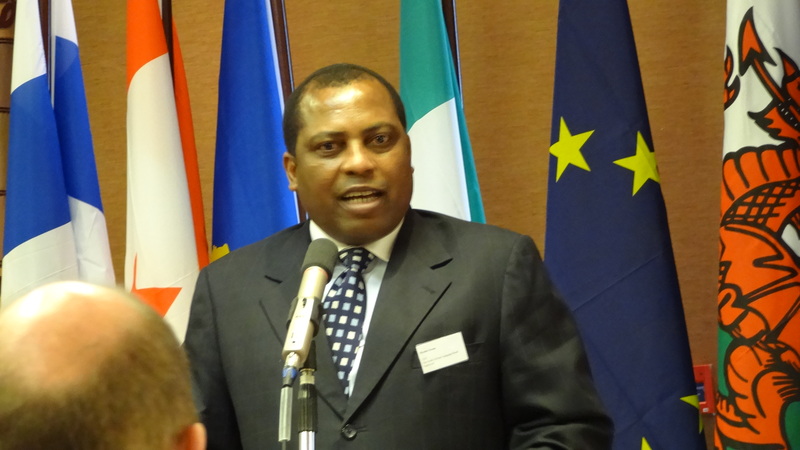 PanSALB: parliament to play a promotional role as well as developmental one. appointed by parliament and ministry of arts and culture. Technical committee, lexicography unit, provincial languages committees, National Languages bodies. Jo’burg is the only place where all languages are represented. Linguistic Human Rights tribunal but we cannot enforce an outcome. For that we need to approach the Equality Court (if we haven’t managed an amicable agreement). Monitoring and evaluation duty: all state organs have to comply, if not, we can only bring it to Parliament, not to courts. We come from colonization from a special type. Communication in English was considered the utmost education. People feel less proud of communicating in their mother tongue as they see it as an illiteracy symptom. June 16th production of Nama booklet. They are planning a conference to be taken place to attract government attention by increasing the visibility of better practice and issues to be addressed. I would like to thank Dr. Fernand de Varennes for both immediately expressing his strongest doubts regarding Mr. Zwane’s assertions and communicating me six months later the attached paper regarding strong suspicions of corruption and mismanagement of PanSalb. Huws, Meri (2013), ‘Welsh Language Commissioner’, paper given at International Conference on Language Rights: Sharing best practice, Dublin Hilton. Wonderful event for someone like me. No great tradition about language rights in a country that has no constitution no bill of rights. Interesting geographic pattern. Predominates in urban areas, such as Cardiff. Changing population and demographic. GAROWTH IN THE Young people due to welsh bilingual education. We have been united since 1336 not necessarily through choice to a large country. 1536 act of the Uniion, welsh language was explicitely banned from civic domain in Wales. So a language which until then had been the language of law and institution became the language of community and taith.Until 1901 census. 50% of welsh population spoke welsh. Welsh seen as a language which disabled the individuals. 1960s civil rights movement throughout the world. Increased awareness and civic unrest leading to a demand for Welsh-medium education. Need to protect the individual in special situation such as welsh court system. Lead to 1993 a piece of London based legislation Welsh Language Act. Incredible influence to change the welsh landscape. Established the Welsh Language board and also a regime of lawelsh language schemes. All organisation in public sector to develop a scheme to present how they could deliver welsh language. Another movement in wales to welsh language television SLC which celebrated its 30th anniversary. Strenghthened the linguistic landscape. Demand for devolution of political governmental powers. Gradual devolution. Refenda and now a national assembly. We are slowly developing skills of drafting legislation for Wales. We are 25% along the road to political devolution. The word rights appears only once in the 25 pages of this piece of legislation! Section one of the legislation gave for the first time since 1336 the official status to Welsh. It’s a critical statement. No such statement anywhere in the UK. WL Commissioner: promoting and facilitating use of Welsh language and ensuring that the Welsh lanaguage is treated no less favorably than the English language. hybrid and difficult role. I thought initially it was schizophrenic. I’ve now come to the conclusion it’s more multiple personality disorder! Section 111 of the Welsh Language Measure 2011: Freedom means nothing in law (an individual may apply….). We have a legislative and stutary authority to investigate. We’re planning to do so especially at primary language healthcare. It’s a critical component of the way you receive treatment. 2 weeks investigation. Call for evidence to look into this issue. For us the real challenge is to build on what has been achieved in the last 40 years of enthusiastic grassroots language planning and to make sure this piece of legislation actually be effective. Not a bureaucratic exercise. To lead to real change through a Tribunal to receive appeals . Requirement to comply, standard, penalty for failing to comply. Brännkärr, Malin (2013), ‘Special advisor on language rights, Ministry of Justice, Finland: “Two National Languages”‘, paper given at International Conference on Language Rights: Sharing best practice, Dublin Hilton. (she was so pretty that I forgot to take a photo…she’s the only blond in the group picture and on the panel at the end). Greetings from Minister of Justice of Finland. Responsible for language issues in Finland. 2 national languages which have co-existed for at least 900 years. 1809 part of Russia for 100 years. Finish then became more involved in education and legislation. Swedish spoken along coastlines and all people are learning both languages in schools. Linguistic equality, not a minority legislation despite the fact that Swedish-speaking population is much smaller. New Language Act 1 January 2004 to ensure the constitutional right of every person to use his or her own language and that an authority shall ensure and on its own initiative that the linguistic rights of private individuals are secured in practice. Working language of government is Finish but individuals can contact the government in either language. local administration (municipalities and regional authorities) bilingual. No ombudsman but an appointed person at Justice Ministry. Several ways of action of ministry of justice: implementation of linguistic rights, setting plans and projects, arranging campaigns, doing research, training and retraining, providing information, lobbying. 3 people are working in the Ministry of Justice and provide a Report (next one in June). Statutory duties and also voluntary basis thanks to NGOs, such as the Swedish Assembly based on political cooperation, the Swedish Cultural foundation, association of Finish local and regional authorities etc…several research institutes. Strategy presented in the Strategy for the National Languages of Finland. Starting point is the current legislation. Problems come to practice to adapt the act so that it comes into practice. Challenges in the area of implementation. Immersion teaching. Ministry of Justice went to Canada and used a lot of the experience to implement its own policy. One person in each ministry responsible for language matters. Practical tools: various measures: guidance (how to…), language legislation in projects and working groups, communication issues, publication including language legislation in online publications, language act in procurement procedures, language skills in recruitment, contact person of ministries, a model. The problem isn’t the legislation but the practice. For example in health services, it’s very hard to find adequate services in Swedish. We are ambitious and intend to achieve a lot. 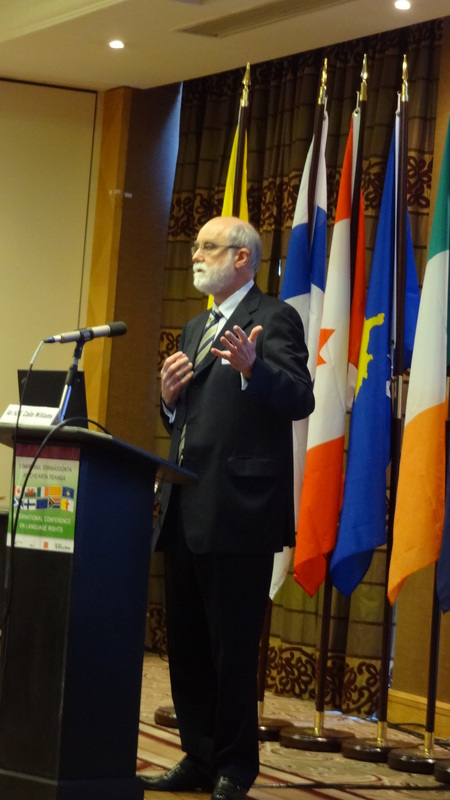 Carrier, Michel (2013), ‘Commissioner of Official Languages for New Brunswick: The New Brunswick perspective:’ paper given at International Conference on Language Rights: Sharing best practice, Dublin Hilton. I’ve had two terms and am the longest serving commissioner. so I ask for your generosity as I am tired! Central and southern parts of NB are predominantly Anglophone. 17th century French settlements. At the time the whole Maritime region was called Acadia. Waves of immigration, coming back of exiles. Official languages act, the Act recognizing the equality of the two official linguistic communities also before the Federal Government: more symbolic in nature to a large extent and slow to be implemented. Collective flavour to our linguistic rights. Canadian charter of Rights and Freedoms. Provides for a solid foundation of our political rights. 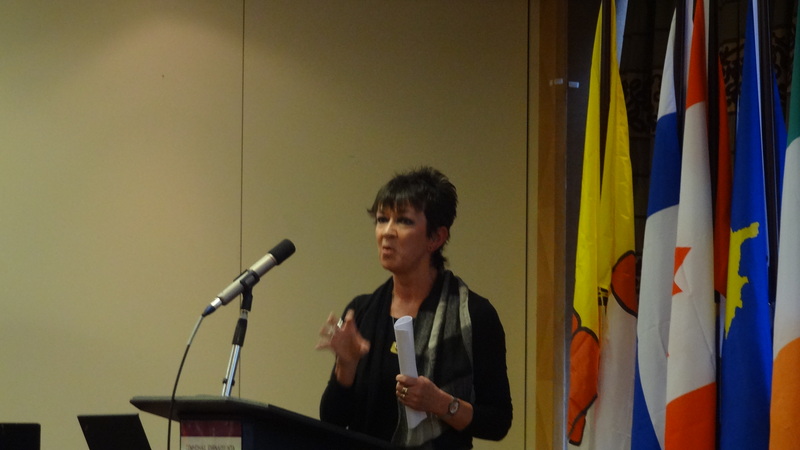 It applies in NB to the whole of the territory, but members of francophone community, for different reasons, didn’t request services in their language of choice. In many areas, people didn’t ask. 2002: broader scope and improvement. Active offer of services, the establishement of position of Commissioner, Review of Act after 10 years. Healthcare, in 2002, they discovered that they didn’t have the availability of bilingual professionals. Languages isn’t the prime motivation for such personal. Work in progress. 2009 survey: 82% of the population supports the concept of official language legislations (97% of francophones, 75% of anglos) (source: continuum research). How do we organize our government to fulfill our provisions? We are certainly a long way in the process…the future probably looks bright. Dual public school system. One minister but two systems. Duality in education up to post secondary education. Attitude of our population is attributable to the popularity of immersion programs. Young anglo parents took to the street to demand to be part of such programs. Language is influenced by the territory. Many franco communities in anglo areas, centric concept of education. 20 Centres throughout Canada. How to maintain interest of anglos? identity concept. challenges are still great and social media which penetrate everywhere. Constant bombardment, mostly in English. Proximity of majority language on the territory. Exogamous couples: rising in NB and create an additional challenge. How people perceive their language? Researchers Annette Boudreau et Lise Dubois (2007). « Français, Acadien, Acadjonne : Competing Discourses on Language Preservation Along the Shores of the Baie Sainte-Marie », dans Alexandre Duchêne et Monica Heller (dir.) Discourses of Endangerment : Interest and Ideology in the Defense of Languages. Londres et New York : Continuum International, p. 99-121. insist on this issue in their publication recently. Independent scrutiny which can question and challenge individual rights implementation. Reality of being funded by Government yet independent in the legislation does create an issue we are facing. Recruitment? Test for all civil servants in theory…less so in practice. At of offer: civil servants can say bonjour but then if they cannot respond, they transfer the call to the proper language speaker. Bilingual team, not individual. Dialects and standardization discussion at the Q&A. Note about his qualificative: he’s leaving office next month with the self-proclaimed intention to go fishing! 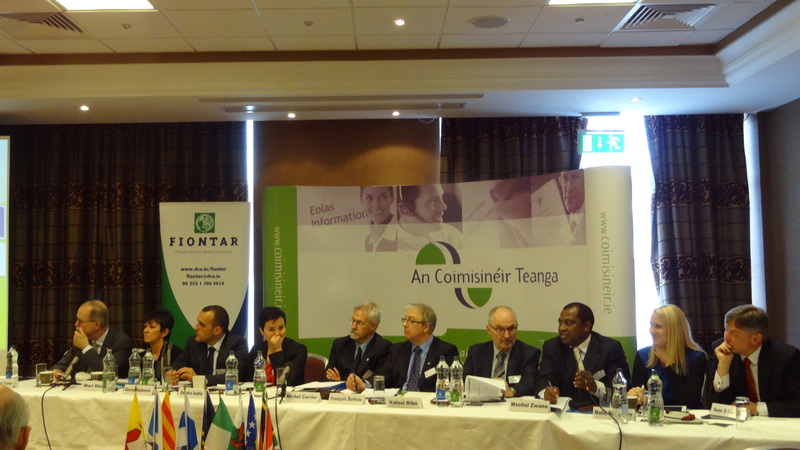 Ó Cuirreáin, Seán (2013), ‘An Coimisinéir Teanga, Eire’, paper given at International Conference on Language Rights: Sharing best practice, Dublin Hilton. 41% irish speakers, 77000 up 7% daily speakers, 23,000 in Gaeltacht. Probably the only good news I bring today! wide range of official support mechanisms. Will language survive as community language in Gaeltacht? small office 5-7 civil servants. Annual budget 600 000 euros. We dealt by 2012 with 5425 complaints, 82 formal investigations 198 audits. Guidebook, annual reports and special reports. 1936 request for advice from state bodies. Act is currently under review. Public consultation in 2011 but we don’t know the results. amalgamation of Commissioner’s office with ombudsman’s office as part of the same process but said that an independent commissioner should be implement. clear strong legislation rather than restrict language rights. Language rights are not favours granted in times of affluence, they are permanent rights, not privelges or favours. Complaints resolution mechanism as a shield and not a sword. core element of language act: too little, too late and no joined-up strategy. English as default setting for too long. Increase in state services through Irish, language awareness, understanding of language rights and obligations, language visibility. State services through Irish cannot be provided adequately unless staff with Irish are employed and this ought to be addressed at the recruitment stage. To amend the legislation to create a place and space for th language in public affairs and to move it from the margins to the mainstream. Two tests: will the amended legislation ensure that state employees serving the Gaeltacht communities are Irish speaking without question or condition and will it address recruitment in public services. If these questions aren’t addressed, there will be problem. No government, legislation, commissioner or state agency can of their own, save a threatened language, however all have a role to play together to create the condition to facilitate the public Do we have the leadership to address this? 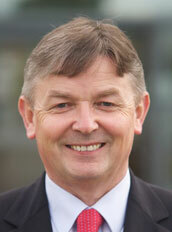 Sociologist: situation in Gaeltacht is really preoccupying. Answer: Let me remind François’s word about the death of the last native speaker. Well, the last Native speaker of Irish hasn’t been born yet! Fraser: can you point out when your lack of independence proved an impediment. In Ireland, it’s a tradition to be independent. Journalists often appointed for that reason. Boileau, François (2013), ‘French Language Services Commissioner of Ontario’, paper given at International Conference on Language Rights: Sharing best practice, Dublin Hilton. Ontario between Quebec, Manitoba and the big giant in the South. Used to work in Yukon and still vividly remembers the death of the last speaker of a native language, with this lady’s passing away, a language disappeared…. Quebec’s political situation has a direct affect on Ontario. When Quebec enforces a legislation in favour of French, it has an influence on francophone such as myself. In Ontario. “Why don’t you go back to Quebec”. How to assimilate franco-ontarians in Ontario leaflet. Part of our political discourse which, replaced by any other minority would have been a scandal. 400 years of presence in Ontario. over 600,000 francophones, 4.8% of province total population. Yet…How do we define a francophone? who and how you ask the question….Young people identity on being bilingual, due to exogamous marriages. New and inclusive definition. Newcomers, as soon as they speak a bit of french, will be considered francophone, that’s called inclusion! Immigration factor as the new reality. Implementation is the key issue as stated by all other speakers. Nobody says you have a small right to vote or you can practice your religion from time to time. But language rights are still part of the compromise. 1986 ruling. You have the right to go to court and be heard but not have the right to be understood…Supreme court ruling! Part of a political compromise. Now, necessity to interpret the law as a proactive one. Independence is absolutely essential. Right now, I report to a minister and I should report directly to the legislative assembly. Interpretation of services: what is a service? We are missing the point if it’s just a question to provide interpretation. It needs to be tailored to the need of the community. You exist in a language situation as part of a community. Note from DRM: impressive, solid, interesting presentation. Certainly one of the most enlightening in terms of reality of the task, extremely well documented too. 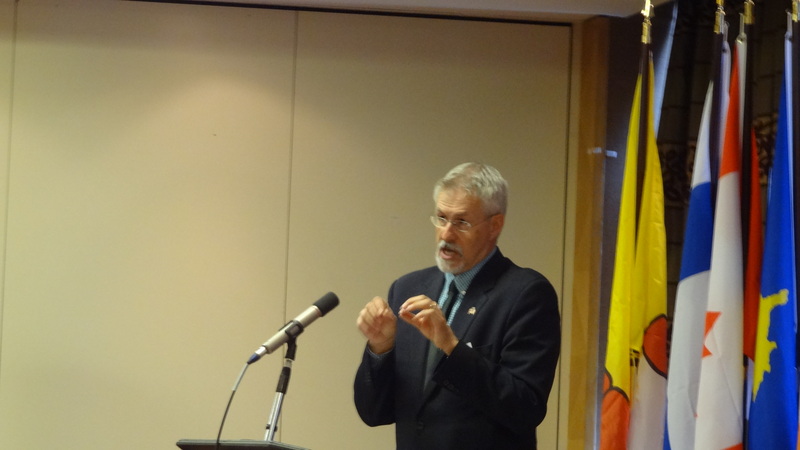 Michel Doucet: in Canada Courts are much more decision making than Commissioners. A: We are lucky to live in a country that respects the rule of law ? Fraser: can you point out when your lack of independence proved an impediment. First appointed by the government of Ontario. I saw a window of opportunity early in my mandate. I was sometimes asked not to investigate but would respond that I would bring it to the public…answer was just go ahead. 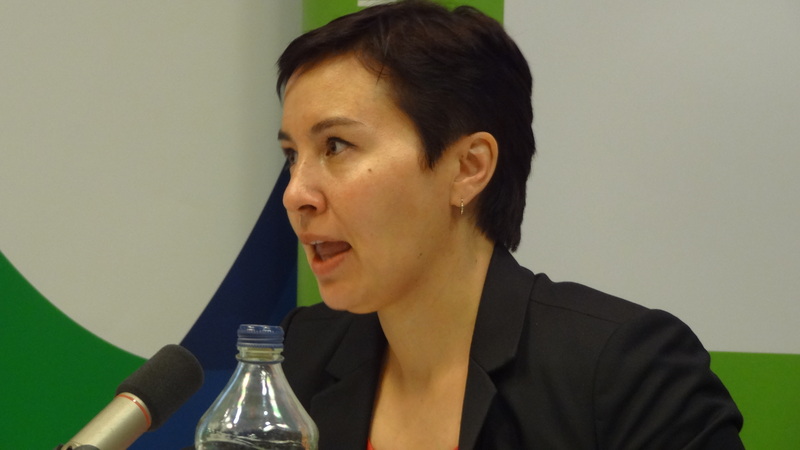 Inutiq, Sandra (2013), ‘Languages Commissioner of Nunavut’, paper given at International Conference on Language Rights: Sharing best practice, Dublin Hilton. Land of poetry, literature and resilence: I’m happy to be in Ireland. LanguageS commissioner. 4 months so far. 2M square km. 33.000 people. We rely on air travel mostly. 85% inuit. 70% Inuktun language speakers. 3 official languages, Inuit language, English and French. Real problem with the last 2009 census. Nothing about ethnicity, so I had to get back to the 2006 census. Land claim agreements. First people who had welcomed the newcomers actually made claims to retrieve their territory April 1st, 1999. Territory have legislative powers derived from Provincial government. We have no political parties, sadly not in our culture. We had to change the word complaint as it’s not culturally in line with the Inuit population. Internal policy of bilingual for civil servants. She then went into her own narrative of why she came into office. In a very emotional and moving manner, she accounted how it was up to the school janitor to teach English to her daughter. Something she resented as a total lack of interest for her people. Mladenovic, Slavisa (2013), ‘Language Commissioner, Kosovo’, paper given at International Conference on Language Rights: Sharing best practice, Dublin Hilton. Honestly one of the most refreshing and authentic presentations. Language most important medium of communication. Deserves particular attention in multilingual and multicultural societies. Kosovo is a multiethnic and multilinguistic country. 2008 Independence. Even during conflict, managed to preserve this plural identity. Modern and sophisticated legislation. 2006 language act under UN administration. Official language has to adapt to communities. Problem of implementation. Political will and awareness of the public issue. Numerous challenges: signage, public service offer, OEC pointed out poor translation. Education is provided at all levels in both communities as well as Turkish and ?). TV and radios in all languages above mentioned. 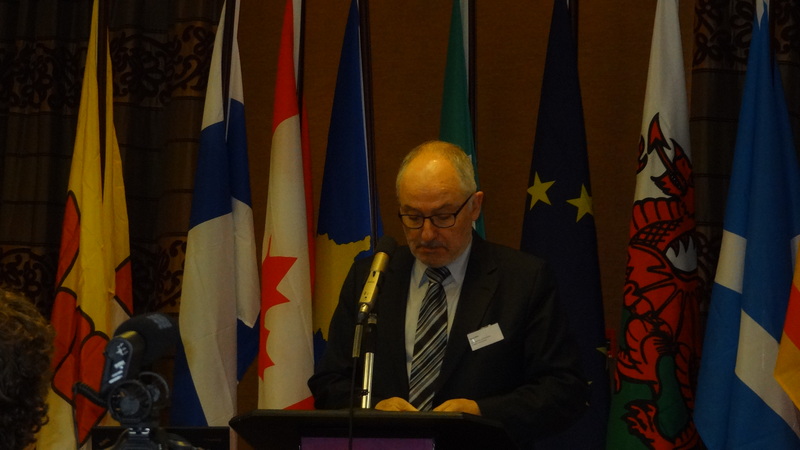 2011 Saloniki conference: focus on language policy issues. drafting of language policy. Working group to reform and strengthen language commission. UNDP, embassies and commissions were also invited to provide advice. 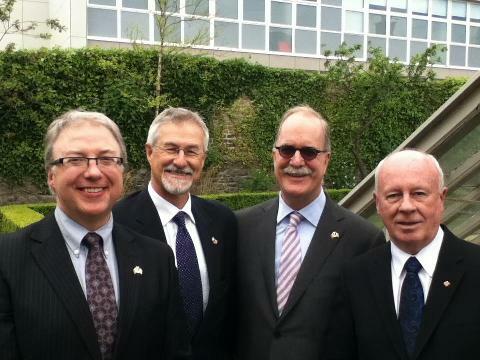 Policy paper on Language COmmission Reform: best practices of Ireland and Canada. They were considered best example. 2012 adoption of the Office of the Language Commissioner. Monitor compliance with the law. Take all necessary measures to ensure compliance wth the law. We can request access to all files of institutions. Can carry out investigations and solve them. We can also issue administrative sanction (legal or disciplinary). Twice a year report to Language policy board and once a year to Prime Minister and Assembly of Kossovo. In office since 2012 december. Coordinators. Our office is within office of Prime Minister but in a couple of years we will move to our own premises. Representatives from each community, academia, police and councils. People still refrain from complains. First because they are unaware of our very existence. So we are now acting to solve this. Note from DRM : I asked him about his first report to the Parliament and he said that there wasn’t much to say at this stage yet but he promised to send the next one for the Prime Minister and we will be in contact. Williams, Colin (2013), ‘Report and launch of From Act to Action publication: study of language legislation in Ireland, Wales and Finland’, paper given at International Conference on Language Rights: Sharing best practice, Dublin Hilton. a truly remarkable performance, actually adding even substance to an already quite substantial debate! partial irishman at this stage. Expertise in language planning policy. Cooperative in Ireland. “every decade I ‘ve seen a new fashing pushing for an agenda”. Need language law be necessarily soft? What sort of law is language law? Canadian charter of rights and freedoms-holistic view of Citizen rights. what real powers do Commissioners have to influence behavior? how are these functions balanced over time? Is there a switch in emphasis as office matures? Not quite the great physician in conflict ridden societies, but a force for good, peace and mutual understanding. 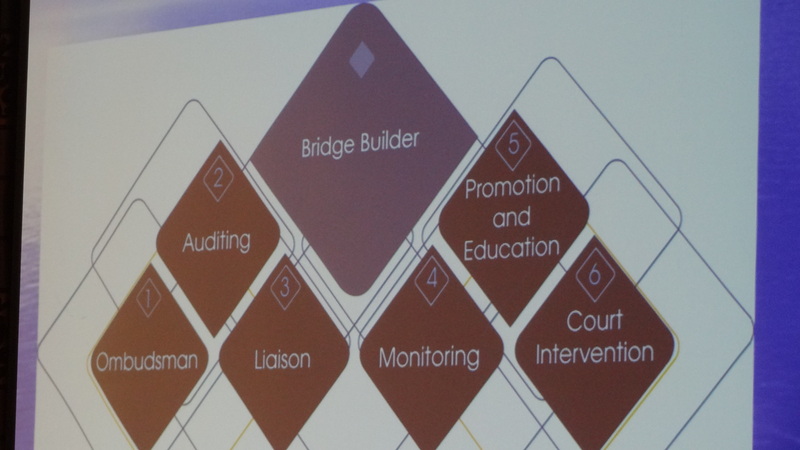 Functions: Bridge builder, auditing, ombudsman, liaison…see slide. Language policies must be based on respect and have clear mechanism to ensure that rights of citizens are respected. Education in the other official language. Saw evidence of various threats to independence, political, fiscal, resource-based, absorption and integration. HOW TO RESPOND? Conducting independent investigations under the French language service act in response to complaints or on its own initiaive. Monitoring the progress made by governement agencies in providing French-language services. Canadian active offer of service: how do you build up an awareness that what you have by right should be translated in practice. Make a case for this. what role do non-official languages play in articulating the particular approach to official languages? Are there fundamental geo-linguistic or teritorial divides which legislation has failed to overcome? Demolinguistic trends and the absorption of migrants as new speakers? How do we meet their new demands? how to educate and absorb them. Language as part of human rights, fundamentally important but how well activated in practice? 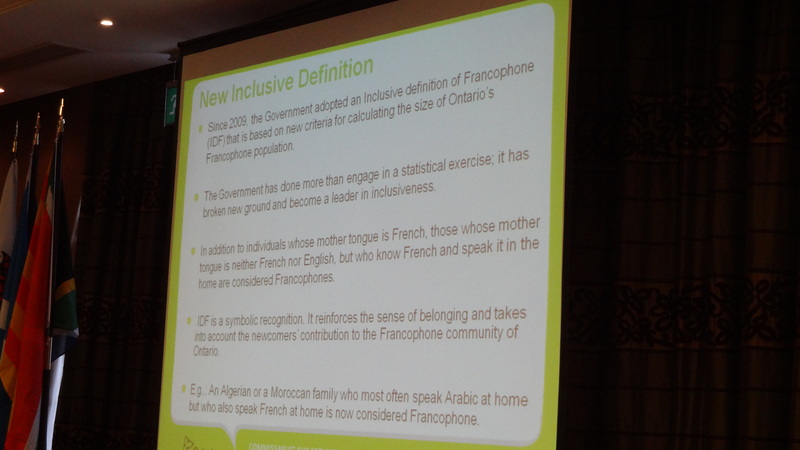 Since 2009, Ontario govement adopted an includive definition of francophone that is based on a new critieria for calculating the size of its franco population. they’ve taken Swedish as a national treasure. reflect on what people have done. What is it about our teaching system that fails to make Irish people really bilingual. Usage in the real world is what really counts. How to reshape the relative balance between public sector, creating skills and space for a language, and the private and vountary sectors where the action is acute and language shift more evident. where does power reside, how influence diffused, role of supreme courts and legal system, articulation of rights in practice. role of civil society in mobilizing pressure. Stenbäck, Pär, et al. 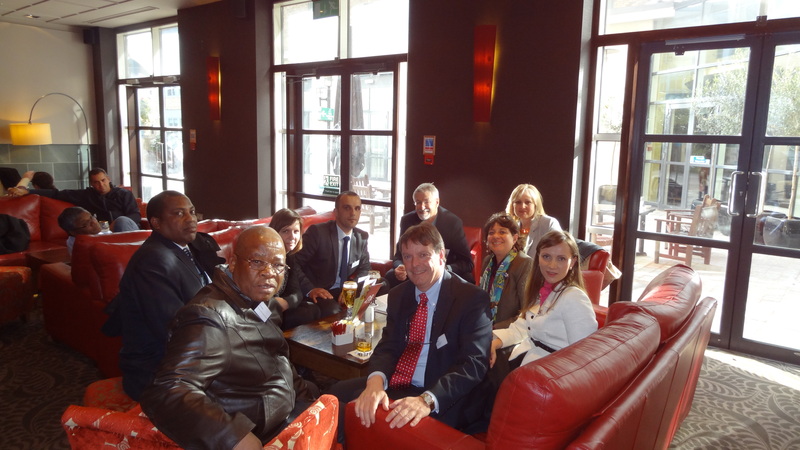 (2013), ‘Roundtable’, paper given at International Conference on Language Rights: Sharing best practice, Dublin Hilton. Questions on independance 1 to 5. Most considered they were around 5 (some like Fraser and Carrier around 4.75 for budgetary concerns) but Boileau and Mladenovic were around 1 admittedly. question regarding language: rights or privileges? there again, consensus that it’s a right except for the representative of Kosovo for whom a lot of countries including his own view such rights as privileges. Also, I’m pleased to announce that the commissioners agreed to form an international association and that they appointed Graham Frazer from Canada as Chair and Seán Ó Cuirreáin as Secretary. It’s remarkable to pay a quick visit this website and reading the views of all friends about this article, while I am also eager of getting experience. Une journée dans une ville particulière: Genève! Road trip to Scandinavia : Hamburg – Stavanger via Flensburg: Merci Vincent !